Expand your home or office’s wireless coverage with the Hawking HWABN2 Hi-Gain Wireless-300N Pro Access Point. The Hawking HWABN2 Hi-Gain Wireless-300N Pro Access Point allows you to distribute wireless signals from a wired connection with its Two 3dBi Hi-Gain™ Omni Directional Antennas. 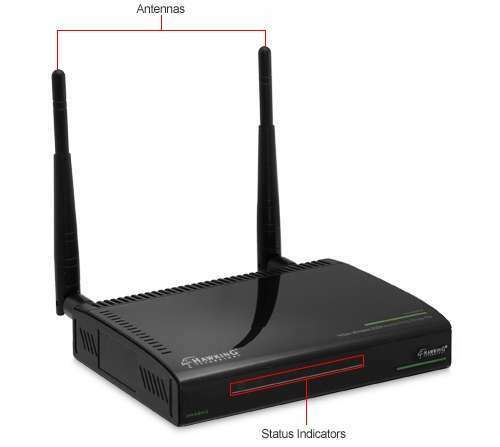 With five wired 10/100/1000M Ports it also allows you to connect wired devices. It even strengthens the security of your network as it comes with 64/128-bit WEP, WPA, WPA2 Security protocols. Eliminate wireless dead spots in your home or office with the Hawking HWABN2 Hi-Gain Wireless-300N Pro Access Point.